Researcher, editorial director and multi-platform creative, David Metcalfe has spent the last decade developing digital engagement strategies that strike at the interstices of art, culture and consciousness. Inspired by undergraduate work with renowned cognitive philosopher Dr. William Hirstein and over 13 years of marketing experience at the agency and corporate level, Metcalfe utilizes a full spectrum approach to market communications - integrating focused content development, real time information deployment, culturally relevant narratives, graphic design, digital video, and transmedia techniques. As a cultural theorist and internationally recognized independent scholar he explores the outer edges of society and mind, opening new understandings into the hidden mechanisms behind popular culture. 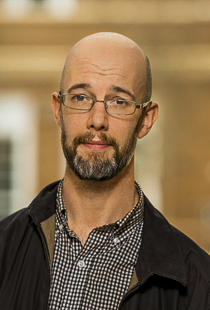 In 2011 Metcalfe established the Liminal Analytics: Applied Research Collaborative to focus on testing and deploying a unique combination of applied scholarship, market intelligence, multimedia and social network development in order to build strategic connections across diverse societal landscapes. Metcalfe has planned and hosted successful on and offline events with leading authorities and primary voices driving the front lines of contemporary culture. In collaboration with critically acclaimed photographer Shannon Taggart, he helped design programming for the Morbid Anatomy Library during the transition to its new role as one of New Yorkâ€™s most talked about museums. As a contributing editor for Reality Sandwich, his insights brought renewed focus to scientific research surrounding anomalous cognition and experience allowing the web magazine to beat the curve on cultural issues that have become a key focus of government and academic leaders in the 21st century.